Mexico’s Pacific Treasure is among the favorite destinations for domestic vacationers. 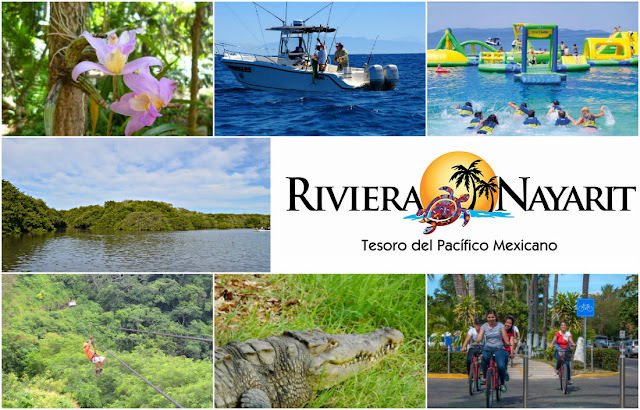 The Riviera Nayarit is a destination so versatile there’s no chance of getting bored. It offers quite a lot of treasure to be discovered little by little: history, culture, traditions, beautiful beaches, and places for ecotourism and adventure—all accompanied by a generous side of delicious gastronomy and unparalleled natural beauty. Mexico’s Pacific Treasure is privileged thanks to its exceptional climate, which places it at the top of the list of favorite spots for excellent Holy Week and Easter vacations with your family or significant other. There is plenty of fun for every age group to be had at the Wibit Aquatic Park. 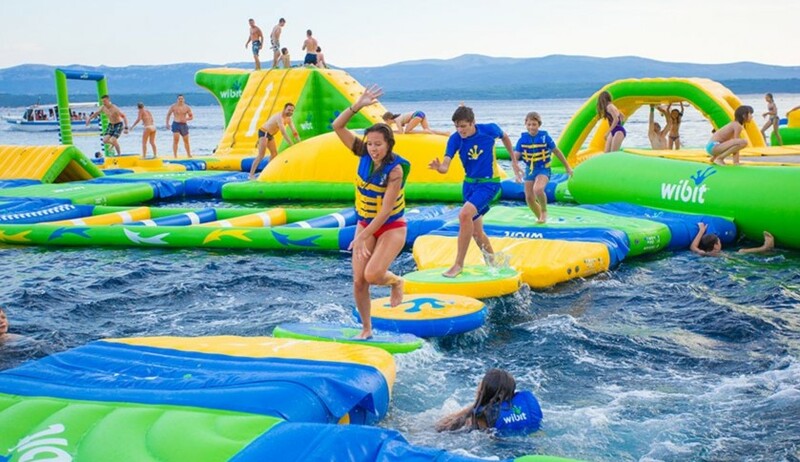 It’s made up of an installation of floatables on the ocean with obstacle courses to test your mettle and balance with slides, bouncy houses, swings, “mountains,” “cliffs” for climbing, a spinner, a grand trampoline, and many more pieces. The cost per hour per person is $350 pesos or you can stay the whole day for $700, although there are discounts for locals who show a picture ID; the price is the same for groups of 10 or more. Hours are from 10 a.m. to 7 p.m. Tickets are on sale at the Wibit office at #15 Pacific Avenue in Bucerías, Nayarit. For more information call 01 (329) 298 1298. 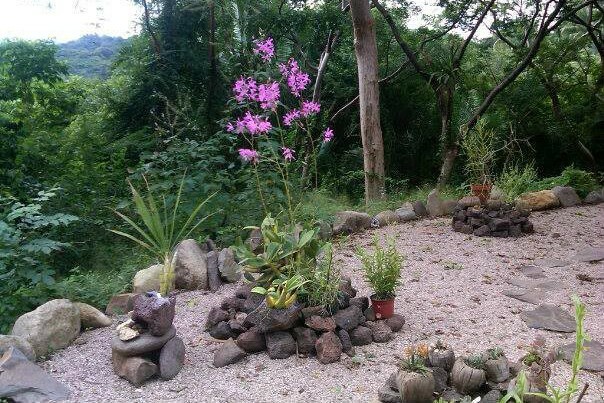 One of the unique places in the destination is located in the Las Lomas ranch near the coastal village of SanPancho: Lo de Perla Jardín de la Selva, or Jungle Garden where the flowers—mainly orchids—grow misted by the ocean air in a tropical jungle. There are more than 800 native orchids hanging from the trees, over 120 fruit trees, bromeliads, orchids, ferns, vines, and fabulous mushrooms. It’s also home to 25 mammals, 30 reptiles, 120 birds, 300 multicolor butterflies, and thousands of insects. The tour of this marvelous jungle paradise lasts about 3 hours and though it might seem daunting at first, it turns out to be quite easy thanks to the well-kept trails and many resting places. More information: Mobile 322 1811 909 | Mobile 55 3988 0540. 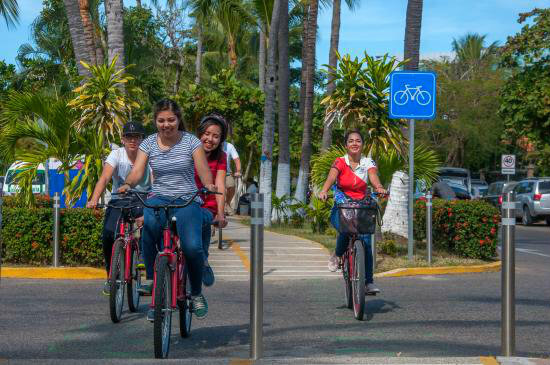 If you enjoy exercising even when you’re on vacation, Nuevo Vallarta’s Ciclovía (Bike Trail) is a great option, especially if you stay at any of the hotels located in the Fraccionamiento Náutico Turístico, the gateway to the Riviera Nayarit. Every day, tourists and locals ride their bikes, run, or skate and enjoy the local flora and fauna, especially birds. The bike trail goes on for 3 kilometers along the Avenida Paseo de los Cocoteros, just a few meters from the beach. It connects to the Condominio Maestro Flamingos walkway, which is 3.5 kilometers long until it meets the road. 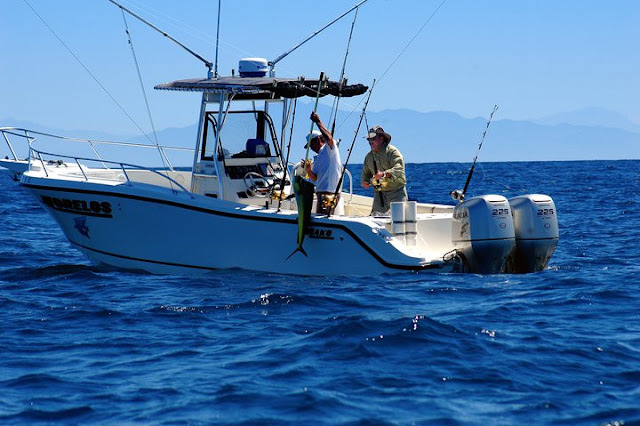 A lot of tourists traveling from the heart of Mexico love to relax and go fishing There are multiple options to choose from, as there are small yachts and boats available for rent to do just that at the four marinas located in the Riviera Nayarit. The boat captains are experts and know where to go to find mahi-mahi, a sailfish or even a giant tuna. 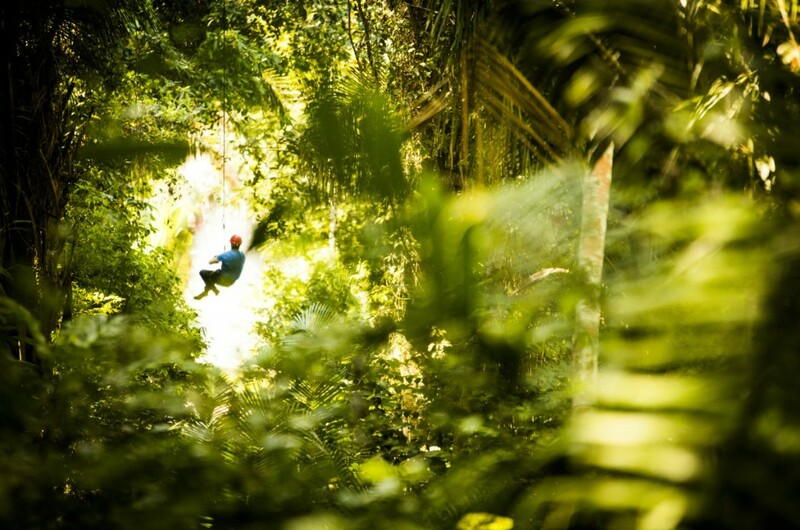 The Canopy Tour or zipline, is undoubtedly one of the most fun activities of the season. You’ll find this service at several local ranches dedicated to adventure tourism. One of them is Rancho Vista Paraíso, located in a tropical forest natural reserve on the lands of La Montalbeña, very close to Higuera Blanca. This ranch is a favorite with celebrities, including the Kardashian sisters and actor Tom Cruise, though it’s still very accessible for national tourists, as well as residents and locals. The Canopy Tour consists of 10 platforms tucked among the trees and the hills, some of them up to 1,500 meters above sea level. Hours: 9:00 a.m., 12:00 p.m. y 3:00 p.m. every day of the week. If you like excitement and enjoy nature, you’ll love the El Cora Crocodile Sanctuary. Located between the El Quelele, La Cortada, and La Vejiga lagoons, this sanctuary is certified as an Environmental Management Unit by the Semarnat to take part in protection, conservation, environmental education, and ecotourism activities. Besides crocodiles you’ll find other animal species living here including peccaries, goats, ducks, rabbits, and endless amounts of birds. The place was recently renovated and offers experiences and services for locals and visitors. El Cora is located at the end of dirt road that starts at the Tepic-Puerto Vallarta highway on one side of the Flamingos Golf Course, very close to the town of Bucerías. El Cora Crocodile Sanctuary is open every day of the week except Wednesday from 11 a.m. to 6 pm. 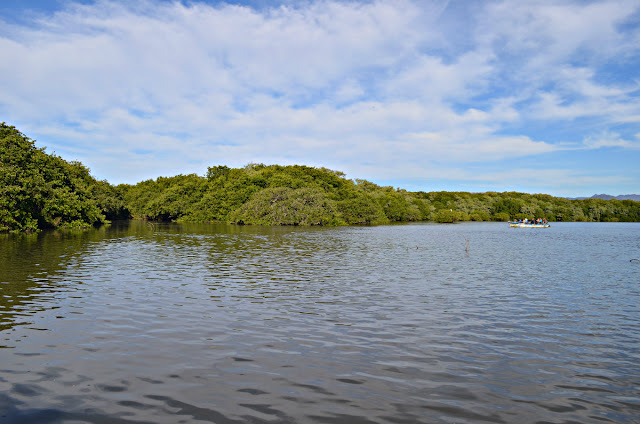 After visiting El Cora Crocodile Sanctuary, you should head over to the El Quelele lagoon right next to it: it’s considered one of the most important bodies of water in the Bahía de Banderas municipality and one of the top 100 places in the country for birdwatching both regional and migrating species. You can also go kayaking along the 9 kilometers of canals that connect the El Chino estuary and from there to the Pacific Ocean. There are 104 species of flora registered in the area, as well as approximately 250 species of fauna such as crocodiles, crabs, iguanas, boas, and turtles, plus a small population of raccoons and badgers.